The DataType attribute enables you to provide the run time with information about the specific purpose of a property. A property of type string can fill a variety of scenarios. It might hold an e-mail address , a URL, or a password. The DataType attribute covers all of these scenarios. In the above example, we are using DataType as password for password property. For a DataType of Password, the HTML editor helpers in ASP.NET MVC will render an input element with a type attribute set to "password". In the browser, this means you will not see characters appear onscreen when typing a password. As discussed earlier input type password is rendered on UI for DataType Password. In the above example, we have used MultilineText as DataType. 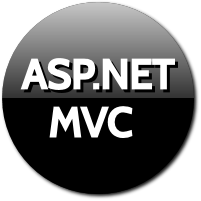 For a DataType of Password, the HTML editor helpers in ASP.NET MVC will render Textarea element. Thus the DataType.Multilinetext renders a Textarea element. Other data types includes Currency, Date, Time, and ImageUrl.